As a business professional, you may not be privy to the knowledge an IT professional has about the future of cloud vs on-premise computing. You may want to learn a bit about the subject so that you can make the best decision for the future of your company operation plan. This post will give you a leg up in anticipating future business needs by providing you with insider knowledge of the strengths and weaknesses of both sides of the cloud vs on-premise argument. Nowadays, all anyone talks about are the advantages to cloud-based solutions, but there is much to speak for the familiarity and security provided by on-premise applications. Familiarity with the process and use of on-premise computing and storage provides the benefit of timely, effective operations. Keeping things the way they are in respects to computing and storage will maintain effective operations as there is no learning curve to consider. If current operations at your company are not in need of improvement, you could consider other improvements that drive customer value up. 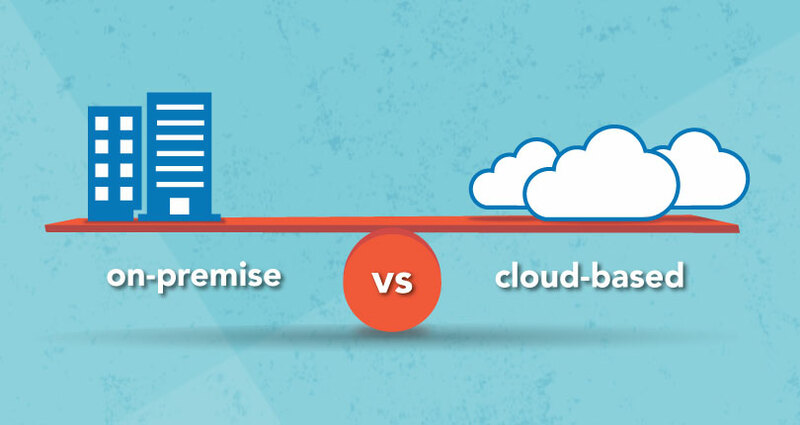 The ease of use and familiarity associated with the on-premise side of the debate could be considered a huge advantage versus the learning curve needed for its cloud based counterpart. Just as with the Amazon Business vs Prime debate, there is more to the argument than meets the eye. Although improvements are being made every day to security issues associated with cloud usage, it is important to consider the current and future needs of your business. If your company’s dealings hold privacy and security of utmost importance for clients, there are definite advantages to on-premise solutions. After all, there are no mobile shredding companies for digital data. This is especially true as your company’s IT department has intricate knowledge and understanding of the protocol associated with ensuring security of all systems through current on-premise applications. In the future, cloud based solutions may be even more secure than their on-premise counter parts, but there is no guaranteed certainty of that. If your business’ dealings necessitate absolute privacy and security, this could be an important aspect to consider. On-premise benefits notwithstanding, there are many possibilities for improvement that cloud based computing can provide your company. Studies have shown that cloud use provides better opportunities for future business development. Cloud computing provides better solutions for product development and entrance to new markets than does its on-premise counterpart. This is a huge advantage when discussing the future of computing for your company. If you foresee new products or markets in the future for your New York business, or any business located anywhere, cloud computing may provide some helpful advantages in that process. Current worries about security of the cloud could be less prominent in the future as well, provided that development toward incorporating new security features is signficant. When it comes to some of the current downfalls of cloud computing, there is great probability that with increased usage new solutions to those issues could be developed in the near future. However, as with all things technology, as security progresses so does the skill of wayward hackers. It is important to remember though that security is always a concern with all aspects of technology. Worries of cloud security will become less prominent in the future as development progresses and improvements are made. Another huge point to consider is this – all of the tech experts are loudly proclaiming that cloud IT is the future; on-premises IT is quickly losing relevancy. While there is still debate regarding opex vs capex, or cloud operating expense and on-premises capital expense, opex is clearly the favored option. The future is not on-premises virtualization, it is clearly IaaS, or infrastructure as a service, and PaaS, platform as a service. If you want to stay ahead of the curve with your online business models, this is crucial to keep in mind. Despite the future being in the cloud, some data is simply too critical for the cloud. This is the case for the NYC Department of Transportation, as well as the City of Los Angeles. Both the municipality and the city department keep certain types of data sets on-premises. They also plan to have this information remain on-premises for the foreseeable future. They believe that some operations are simply too critical to be apart of the first round of cloud migrations. Keep this in mind if you do decide to migrate to the cloud. You may want to hold off on certain data sets, like employee HMO and PPO information, until you are sure the cloud is the most secure solution that works smoothly for you. So what does this mean for the future of your business? Ultimately, the decision is up to you. Signs point to cloud computing being the wave of the future, but a combination of both solutions used in partnership could be beneficial for you, especially if you use a T1 connection. With increased cloud usage across the board comes faster improvements to current disadvantages, namely security. However, if privacy and security are of utmost importance to your clients and your company, there are certain benefits to at least partial on-premise applications. In any case, the best bet for you and the future of your company is to consider incorporating at least some cloud based solutions as soon as possible. Cloud computing is the wave of the future and the last thing you want is for your company to be left behind.